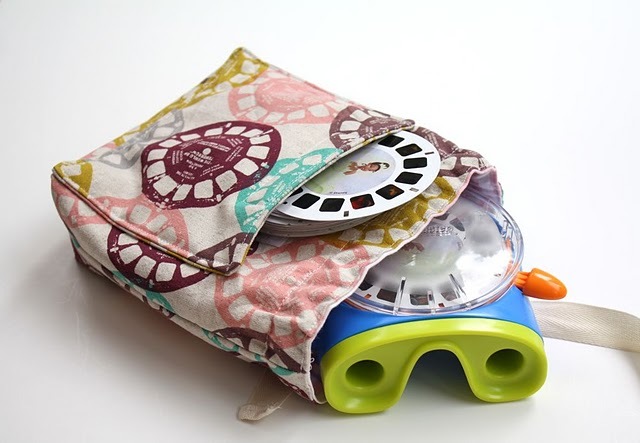 Flashback Friday: Viewmaster Pouch | Sew Lindsay, Sew! Simply amazing. What else is there to say? Click here to get the free ViewMaster pouch tutorial at LiberateCreativity.com. I love this! Makes me wish I still had my view master! You’re quite talented! Thank you, although I can’t take credit for the View Master pouch. I saw it on another blog and just had to feature it!